Lea here. And, for all of you who enjoy reading the Maine Crime Writers blog, have I got a book for you! In the past several years I’ve written blogs for Maine Crime Writers and other sites, focusing on what it’s been like to live my dreams: live in Maine full time, and be an author … and the wife of an artist. In response to suggestions from a number of you, I’ve now edited, added to, and brought together 32 of the best of these blogs in one place. LIVING AND WRITING ON THE COAST OF MAINE is really a memoir. Starting with a celebration of my anniversary in October, the essays move through Christmas, New Year’s, winter storms, mud season, and on to the joys of Maine summers. I’ve chosen the selections carefully, based on my most popular blogs, and those that best defined my life now, and sometimes in the past. (We all have backstories.) Warning: they include a fair amount of wry humor. Because many readers are also writers, or are curious about writers, I’ve also included 25 essay on writing the cosy mystery, doing research, what author signings are really like, how to create a character bible for a book, experiences visiting schools, and other insights into how my life and my writing merge. 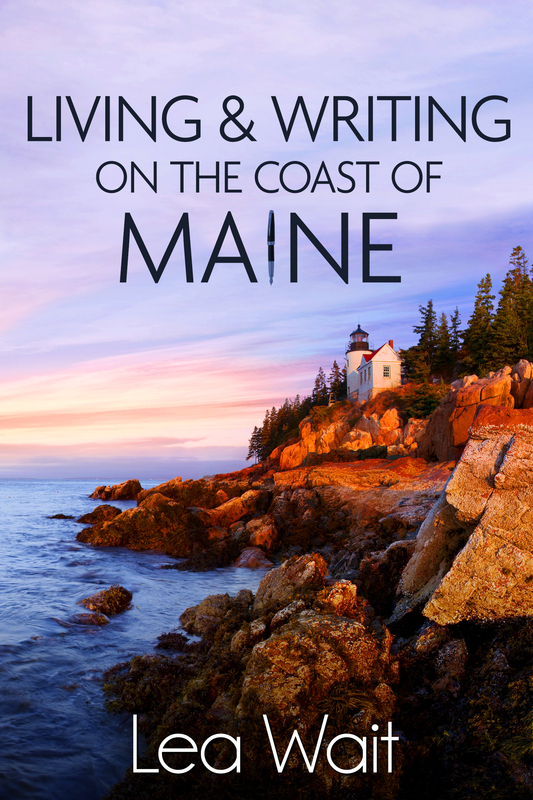 Available in both e-book and paperback, I hope you’ll enjoy this peak into living in Maine … and my life. Lea Wait writes the seven-book Shadows Antique Print Mystery series, starring protagonist Maggie Summer, and the Mainely Needlepoint series, which began with TWISTED THREADS last January. 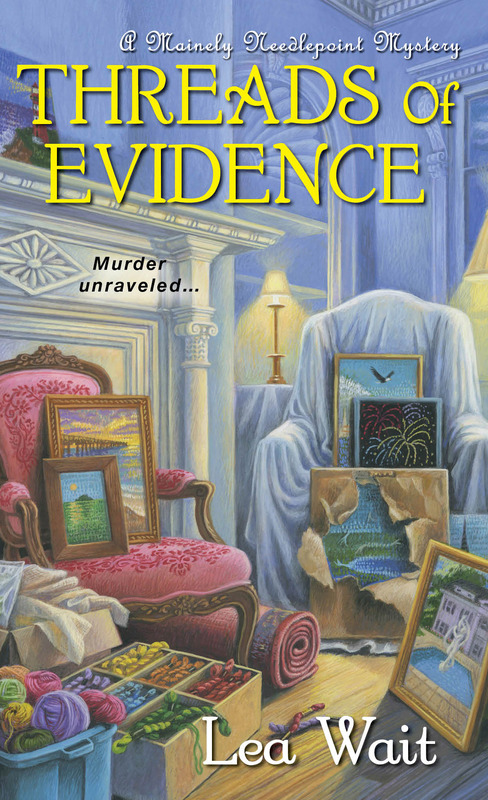 The second in that series, THREADS OF EVIDENCE, will be published in September. She also writes historical novels for ages eight and up set in 19th century Maine. This entry was posted in Lea's Posts and tagged Lea Wait, Living and Writing on the Coast of Maine, living dreams, Threads of Evidence, writer's life. Bookmark the permalink. What a great idea, Lea! Hope the book makes a big splash. Thank you, Edith! So far comments from those who’ve read it have been wonderful .. so I hope so! Is it available now? I think I’d really enjoy it. What a good idea. Yes — it’s available in e-book from BN.Com and Amazon, and in paperback from Amazon. Hope you like it! It should be available soon from distributors. Sounds like a wonderful read, Lea! So glad you have done this.